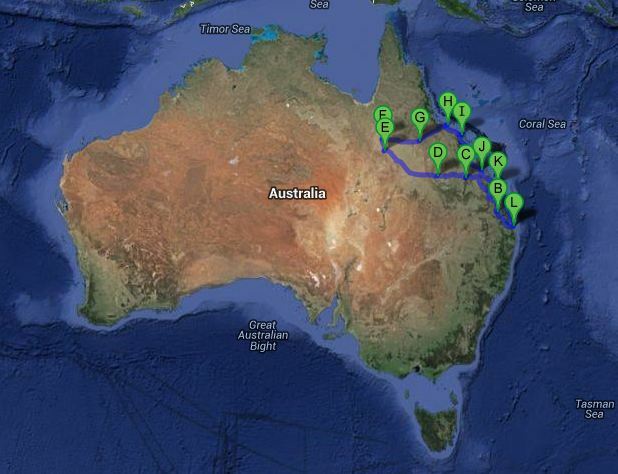 This is where I have collated the posts from the 13 day Julia Creek motorbike trip in April 2012. I rode my motorbike 2,000km each way to Julia Creek to race in the Dirt & Dust Triathlon. Mum and Oma (my grandmother) joined me – they drove Mum’s ute. We camped along the way and even found time to go sailing on the Whitsundays for a day. It was a brilliant trip that I highly recommend.